Falmouth took home the Division 2 championship. 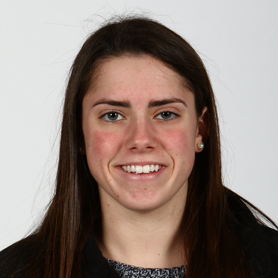 Cardarelli captained her team to the state final at TD Garden. The all-around forward finished her career with 74 goals and 118 assists. 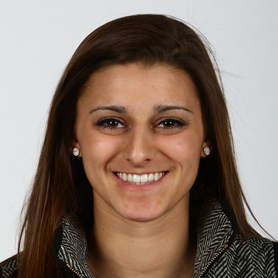 Cardarelli, the 2014 Globe Player of the Year, will play field hockey at Michigan. Conway had another prolific season, shattering the state record for goals by 20, tallying 86. She has scored 204 career goals in three years. 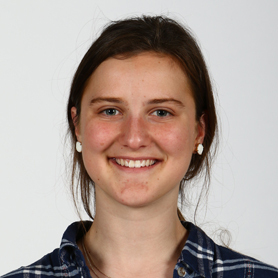 Conway will look to hone her skills at a post-graduate program before attending college. 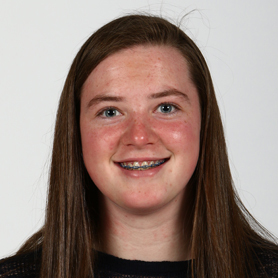 A three-time champion and four-time All-Star, Dudley led her team to the state semifinals with 20 goals and 22 assists. The co-captain with a quick shot and a knack for clutch goals, will play lacrosse for UMass-Lowell. 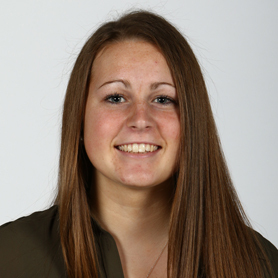 A strong force in both ends of the ice, Goss helped lead the Raiders to the Division 2 state final in back-to-back seasons. Twice a Bay State League All-Star, Goss will attend Wesleyan. 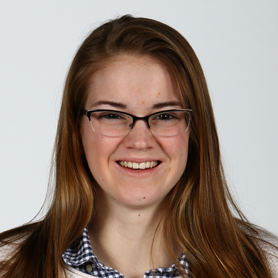 The junior forward played an instrumental role in the Rockets’ Division 1 championship. Her speed and elusiveness were top-notch, while her vision allowed her to set up plays with ease. She has 91 goals and 64 assists in her career. Coming off a Division 2 championship, the senior led her team to its third state final in the last four seasons. 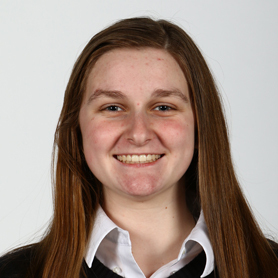 The National Science Honor Society president has 21 career shutouts. She will attend St. Anselm’s. 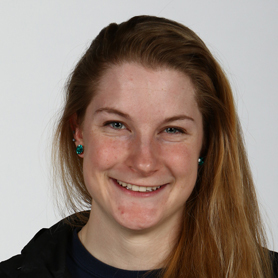 A four-time league All-Star, Barrett was a driving force for the Colonials with 25 goals and 36 assists this season. 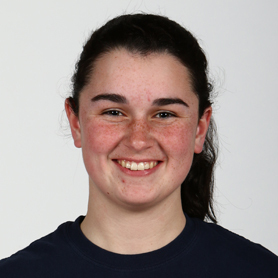 Barrett was also on two Division 1 championship field hockey teams. She will play field hockey at Northeastern. 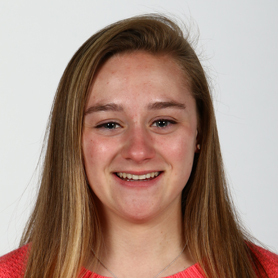 Browne, a freshman, led her team with 50 goals and 25 assists to push the Red Devils to a Division 2 semifinal appearance. Her speed and handling ability also earned her a spot on the Boston Junior Eagles. 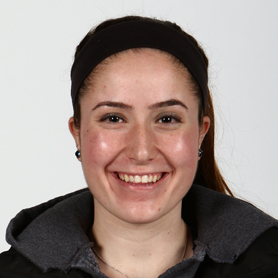 A three-sport athlete, Docktor helped create a masterful season for Wellesley with a team-high 27 goals and 19 assists. The senior led her team to the state final in consecutive seasons. She will play lacrosse at Washington College. Fichter has centered a Green Dragons team that has found much postseason success. 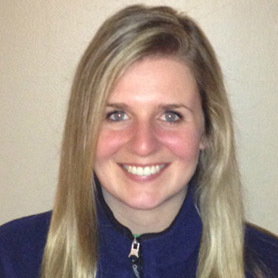 Duxbury won three state titles with her as a pivot. 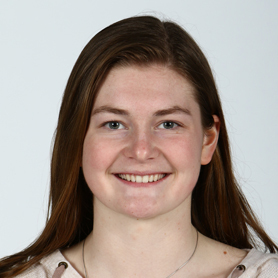 The senior, who finished her career with 110 points, will play hockey at Bowdoin. With a .938 save percentage and 1.15 goals-against average, Flagg always came up with a big stop when the Cougars needed it. 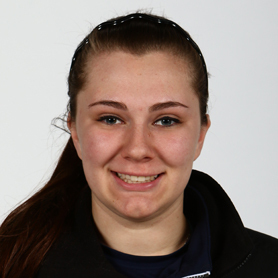 With six shutouts, the honor roll student boosted her career total to 16. Flagg also plays softball. A four-time Bay State League All-Star, Girard rounds out a solid career with 217 points. 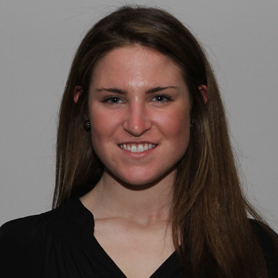 A peer leader in student government, the senior also plays field hockey and softball. Girard will attend Holy Cross. 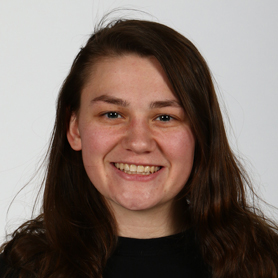 A center with speed and a heavy shot, Haberl totaled 110 points in her career and helped lead her team to the Division 2 state championship this season. An honor roll student, she will attend Fairfield on a field hockey scholarship. A Globe Super Team pick in 2014, Loprete wraps up her career with 137 goals and 81 assists as the Middlesex Freedom MVP. A member of the Division 2 state champion field hockey team, Loprete will play field hockey at Holy Cross. 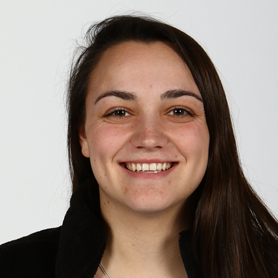 McBride, who led MIAA defensemen with 10 goals and 23 assists, is a five-time Northeastern Conference All-Star and was the conference MVP this season. She plans to play softball at Merrimack. A high honors student and shutdown defender with a hard shot, Richard has notched 31 points for the Red Raiders. 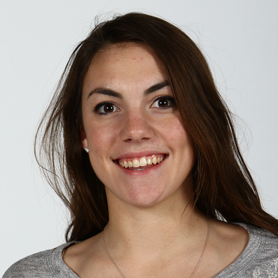 The three-time SEMGHL All-Star also plays soccer and runs track at Barnstable. Rossini, a speedy all-around center, helped lead the Cougars to three state final appearances, two Catholic Conferemce titles, and a state title. The senior scored 86 goals and 58 assists in her career. She plans to play at Northeastern. A solid two-way defender, Seibold was a big factor in Reading’s championship run. 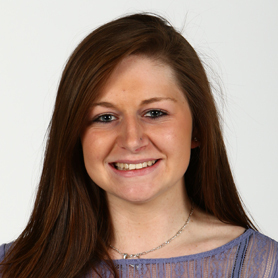 She has 68 points in three seasons and is a three-time All-Middlesex League player. The honor roll student also plays lacrosse. Golden piloted a turnaround from a three-win season three years ago to a 22-2 championship run this year. 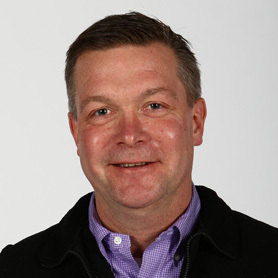 The 1983 Reading graduate oversaw a team that did not allow a goal in the postseason. 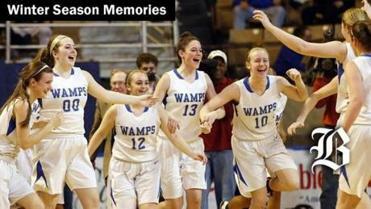 The Clippers secured a state championship in Hunt’s fourth year at the helm. 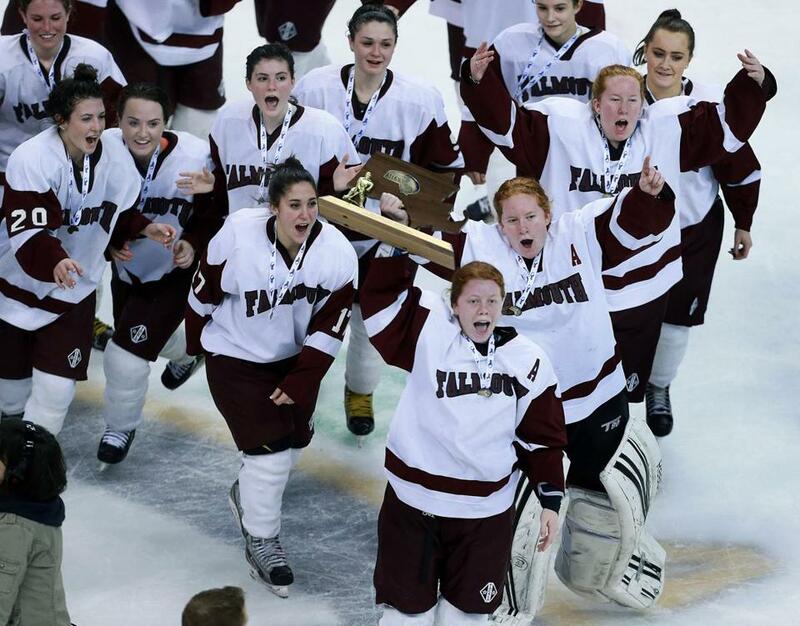 Under her guidance, Falmouth has been a state finalist in three of the last four tournaments. The former Boston College player has a 68-15-9 record.